Raw goat’s milk is loaded with nutrients, such as fatty acids, protein, vitamins, minerals, and more. Adding goat milk to your dog’s diet is easy, inexpensive, and has amazing benefits. When asked, “why should I give goat milk to my dog?”, the answer is simple. Goat milk is one of the very few foods for dogs that is complete. This powerhouse food contains electrolytes, proteins, minerals, vitamins, trace elements, fatty acids, enzymes all in one. Additionally, it is safe for your dog to consume and is very easy to digest and their body will utilize all that goat milk has to offer. In fact, one may want to consider adding it to their diet as well. Unlike cow’s milk, milk from goats breaks down rapidly and easy, even those with sensitive digestive issues. Digestive Issues Let’s face it, we have all had a dog or two that either has IBD or a bout of digestive challenges time to time. 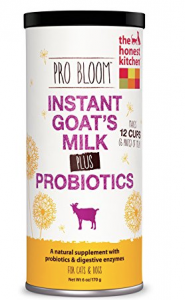 By adding this to their diet daily, goats milk is loaded with probiotics and enzymes, which is needed to help a dog with sensitive digestive issues to overcome. 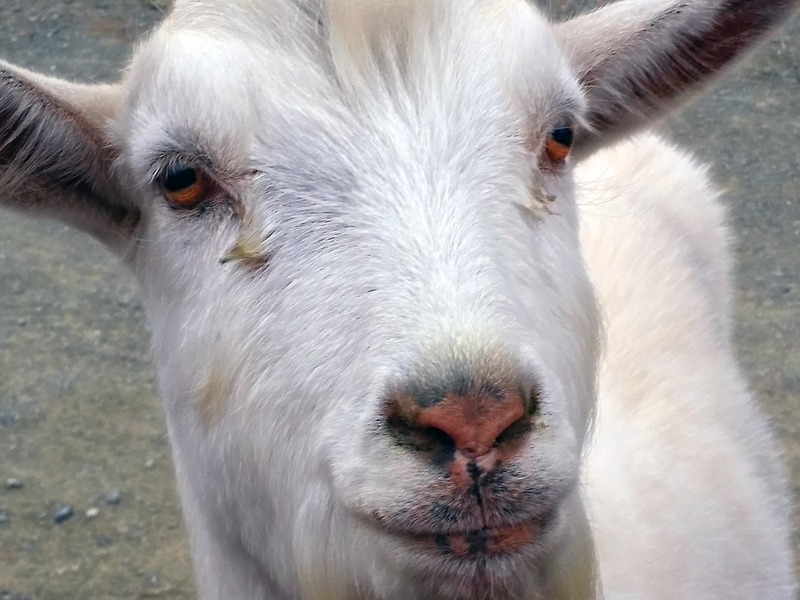 Simply put, raw goat’s milk fights the bacteria that causes the digestive problems. As I mentioned, I have two dogs with cancer, needless to say, both experience GI issues with cancer and cancer treatments, adding this to their diets has helped immensely and less late night “events” as one may say. Allergies I don’t know about you when an allergic reaction occurs, it is exhausting. The same can easily be applied towards your dog too, exhausting and frustrating for them. By adding raw goat’s milk to their diet, it will help reduce inflammation and mucus! Basically, goat milk produces steroids which gives it the anti-inflammatory and anti-mucous properties. Cancer Raw goat’s milk has carotene and CLA (conjugated linoleic acid), both of which help suppress cancer cells. There are several ways to give your dog raw goat’s milk, it truly comes down to preference. For me, I like using the powder that is available from Honest Kitchen. If this isn’t an option, there are other products available, that may meet your needs. Have you tried raw goat’s milk for your dog? Did you receive positive results? Please share your story and help all of us become better and well-informed pet parents.